The labor dispute at an electronics factory located in the Cavite economic zone was settled yesterday with an agreement between management and the union to respect freedom of association. 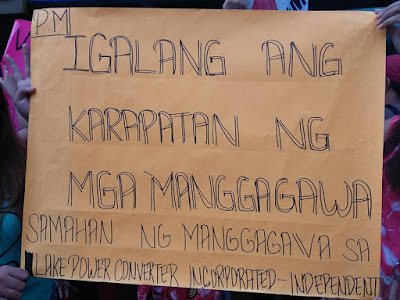 The National Conciliation and Mediation Board (NCMB) called the management and union of Lakepower Converter Inc. to a meeting in a bid to resolve the complaint of union busting and unfair labor practice. Management agreed to a set of demands by the union. First, that the company will issue a memo to be posted on bulletin boards in the factory spelling out its respect for freedom of association and prohibiting management personnel from interfering in the workers’ right to unionize as provided for in the law. Second, that management wil not send any employees to protest the pending petition for certification of the Lakepower workers union as the sole and exclusive bargaining agent. Third, the recall of roving armed guards in the production area. And finally, the implementation of a previous agreement during another mediation meeting last July 7. In that agreement, management committed to resolve a list of 14 workplace grievances raised by the union including the women’s restroom doors that were kept open and airconditioners in the production area that remained closed. In return, Lakepower management asked that the post in the Partido Manggagawa blog regarding the dispute be removed. The union agreed to the proposal and thus yesterday night the post was duly removed in compliance with the agreement. Likewise the union withdrew the complaint for union busting and unfair labor practice in recognition of the settlement reached. The minutes of the mediation conference formally spell out the terms of the agreeement cited above and was duly digned by representatives of Lakepower management and the union in the presence of officials of the NCMB. 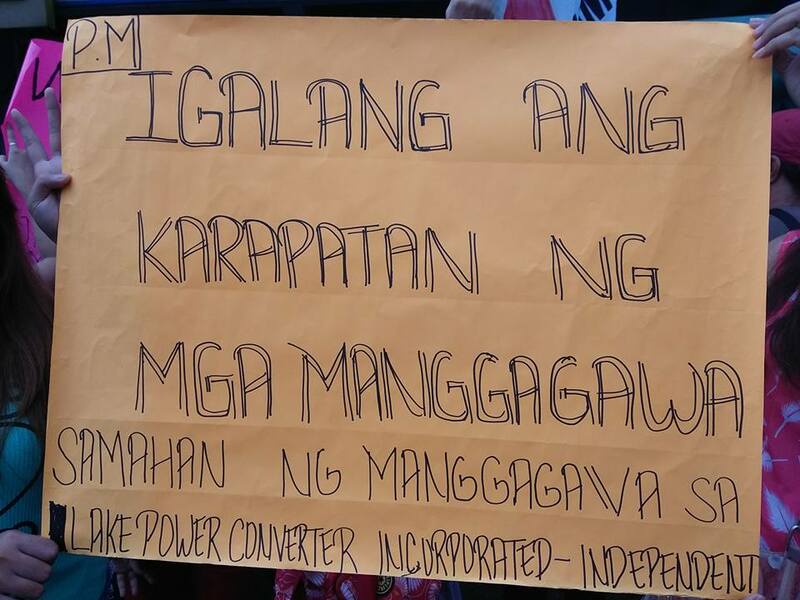 Partido Manggagawa salutes the Lakepower workers, almost all of whom are women, in their steadfast fight for workers rights and considers the agreement as a victory for the union. PM is committed to assist in the protection of the rights of Lakepower workers and will monitor the compliance of the company to the terms of the agreement. Lakepower is a Taiwanese-owned factory that makes electronic transformers for computers, appliances and even airplanes, and is a supplier to big electronics firms.